of working people who live in Barking and Dagenham are paid below the London Living Wage. of 19 year olds in Barking and Dagenham do not have Level 3 qualifications (NVQ L3, 4 AS Levels or equivalent). the working age people in Barking and Dagenham are unemployed. Barking and Dagenham is a north east, Outer London borough. 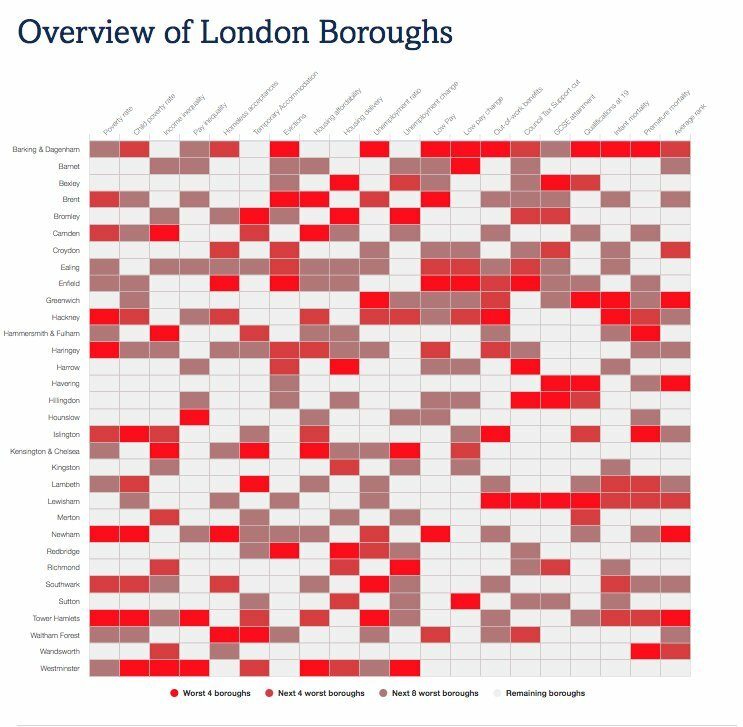 It has longstanding issues of deprivation, and in our ranking across a range of indicators, it performs worst among London local authorities. It ranks particularly low on education and health outcomes, and on low pay. Nearly half of 19 year olds lack Level 3 qualifications, higher than any other borough, and infant mortality and premature mortality are also high. Barking’s 7.2% unemployment rate is lower only than Tower Hamlets, though it has decreased significantly from the 2011-2013 figure. On the positive side, it has the lowest rate of income inequality of any London Borough. And 43% of new housing completions in Barking & Dagenham were affordable – a higher proportion than any borough except Waltham Forest. Barking & Dagenham has experienced significant demographic change since 2000. Part of the Thames Gateway is in Barking and Dagenham, and has been designated as a priority for urban regeneration. 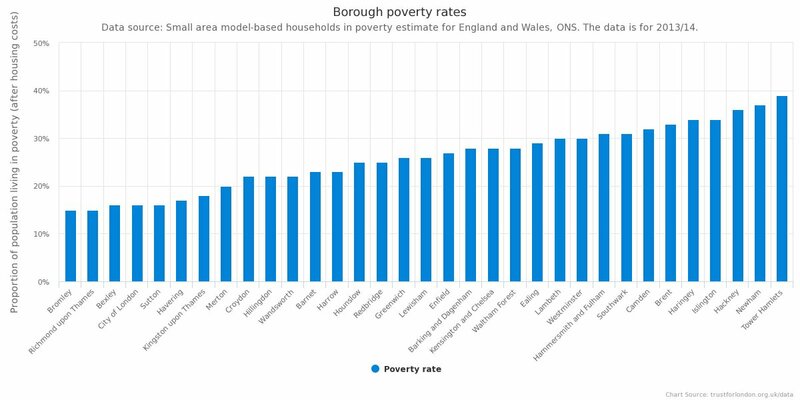 The rankings below give a snapshot of how Barking & Dagenham is performing on some key poverty and inequality indicators. The deeper the red, the worse the problem. Those coloured green are in the top half of London boroughs. The slider shows whether the issue is getting better or worse on comparative years. Where there is no change, the circle is orange. Where there is no comparative data, the circle is grey.